Taking antibiotics in a high quantity can lead to some serious health risks, even at young age. A child can contact juvenile arthritis which may lead to joint pains, and visual impairment, vision loss and pain at a later stage of life. The study authored by Daniel Horton from Rutgers University in New Jersey also states other health hazard of antibiotics overuse for infections. Within one year of receiving antibiotics can prove greater risk to developing a serious medical condition. More alarmingly, about one quarter of children develop arthritis owing to their genetics. This condition can be plausible owing to environmental triggers in children. For the study, the researchers used The Health Improvement Network (THIN), a database with information on over 11 million people across Britain. 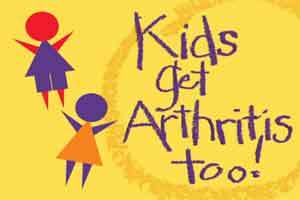 Of the roughly 450,000 children studied, 152 were diagnosed with juvenile arthritis. After adjusting for other auto-immune conditions and previous infection, the researchers determined that children who received prescriptions for antibiotics had an increased risk for developing juvenile arthritis. The researchers added that antiviral and antifungal drugs were not linked to juvenile arthritis, suggesting that risk for arthritis was specific to antibacterial medicines. “This is an extremely important clue about the etiology of this serious and potentially crippling disease. If confirmed, it also provides a means for preventing it,” said study senior author Brian Strom from Rutgers University.